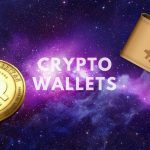 With the increasing number of new cryptocurrency assets being released, finding one secure wallet to store, manage and trade all your old and new assets is a never-ending challenge. 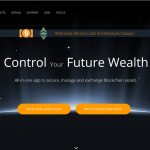 This challenge led two individuals, Daniel Castognoli and JP Richardson who both have a passion for blockchain assets to begin working on the Exodus Wallet project in late 2015. 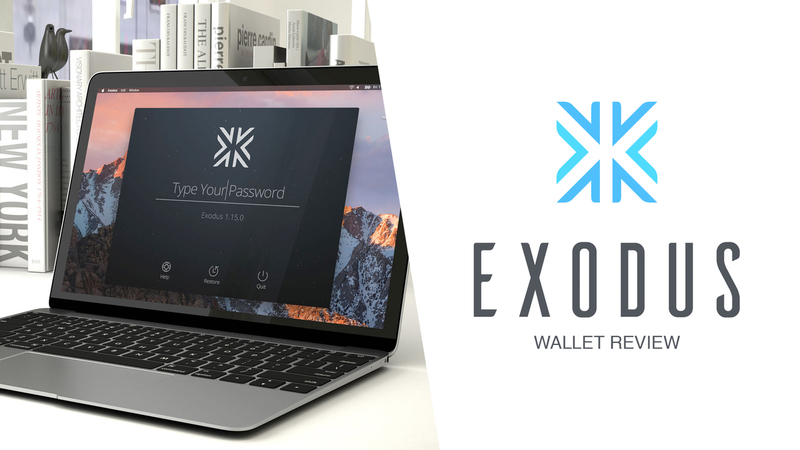 Exodus wallet was officially released in July 2016 and has since gained a lot of hype and attention from the cryptocurrency community. 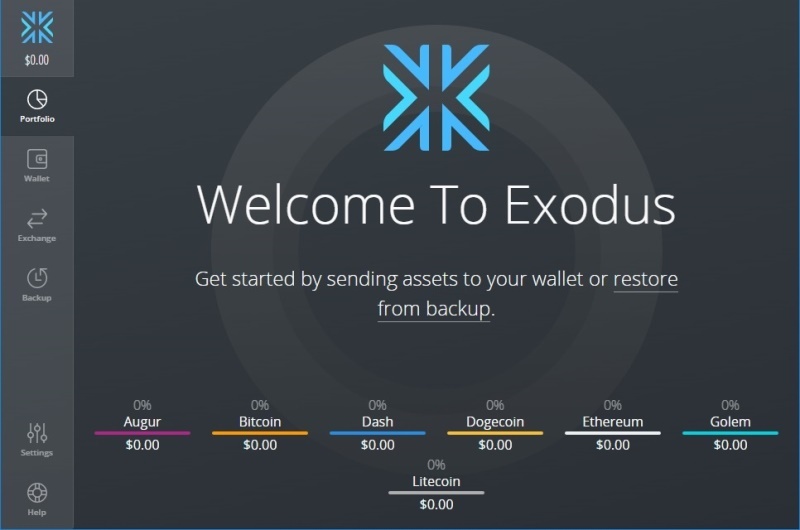 Exodus is an elegant and complete ‘Blockchain Asset Wallet’ that makes it easy to store, manage and exchange several cryptocurrencies from a single wallet. This means you can store, manage and trade Bitcoin, Ethereum, Litecoin, Dash, EoS, OmiseGO and many other cryptocurrencies all together on your Exodus Wallet. What Makes Exodus Wallet So Appealing? Once you download Exodus, it’s very easy to install on your computer. Simply click on the installer, wait for few seconds, and shortly you should get a message saying “Exodus has been installed”. That’s all! This is the first thing that strikes you once you launch the Exodus wallet and Probably one of Exodus’ greatest strengths. 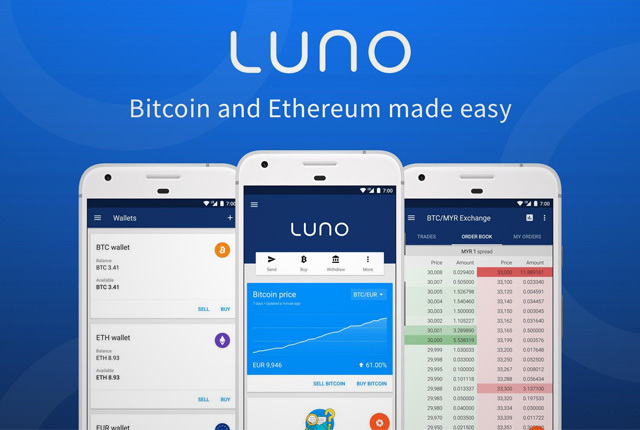 It has such a beautiful yet simplistic interface that even someone with little or no knowledge about cryptocurrencies would still be able to easily use this wallet. Exodus is the kind of product you “fall in love with” the first time you use it, and that’s quite rare in the cryptocurrency world. 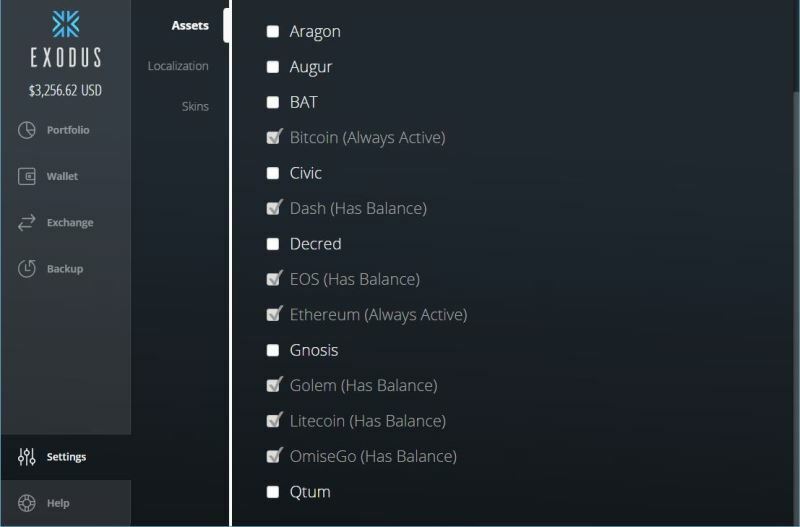 Another strong weapon in Exodus’ arsenal is its huge currency support, it supports nearly all major cryptocurrencies, and you can organize, hold and exchange them from one place. Asset has developer resources and documentation. Asset has specialized API servers with load balancing setup for private use by Exodus. This is much easier if the API is based upon Bitpay Insight. Marketcap and 24-hr volumes are considered. Top-20 or perceived potential to enter the top-20. 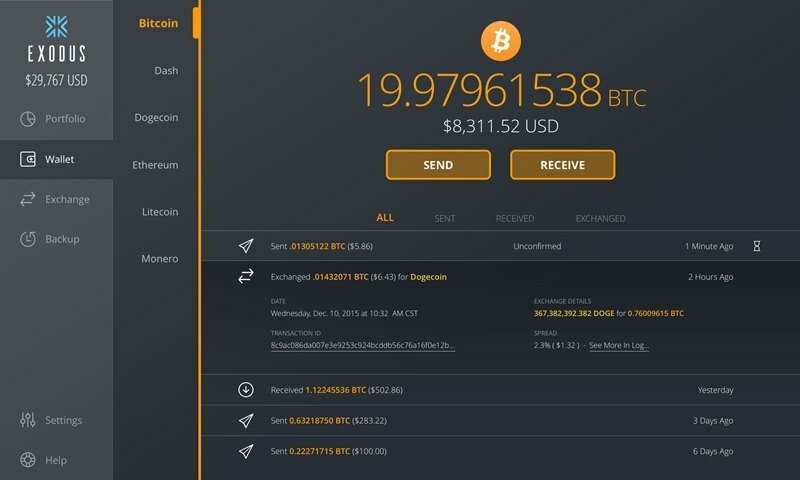 Since Exodus is a desktop wallet navigation is fast and the private keys to your cryptocurrencies are stored on your computer. Exodus is a litewallet so you don’t need to download the whole Blockchain to your computer like you do with Bitcoin Core. If you need to back up your wallet there’s a VERY simple step by step wizard built in inside the wallet that will help you do so. You will also receive a backup link via email if you want to install Exodus on another machine (say your computer gets destroyed). It’s all very secure through the use of a password and a mnemonic phrase (in case you forget your password). 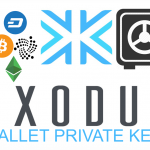 Locally Stored Private keys: Your private keys for Exodus are stored locally on your computer, at no moment are they stored online on any server. Paper Wallets: Exodus supports highly secure paper wallets for backup restoration and recovery. 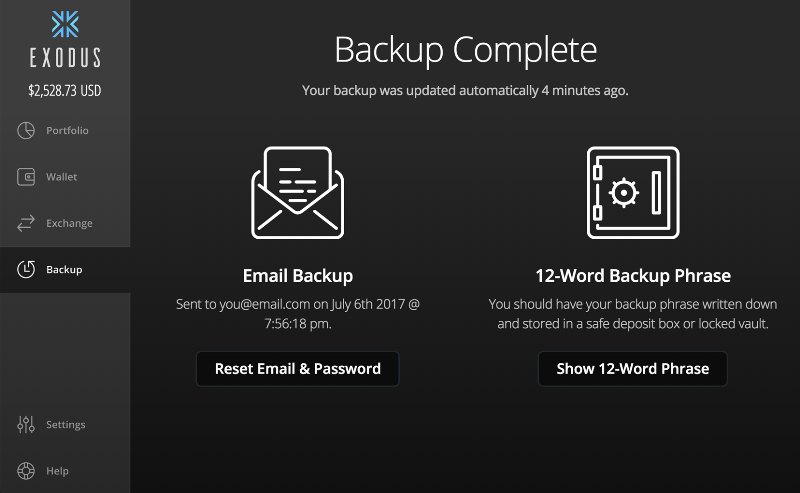 Email Backup can be used to recover accounts as well. 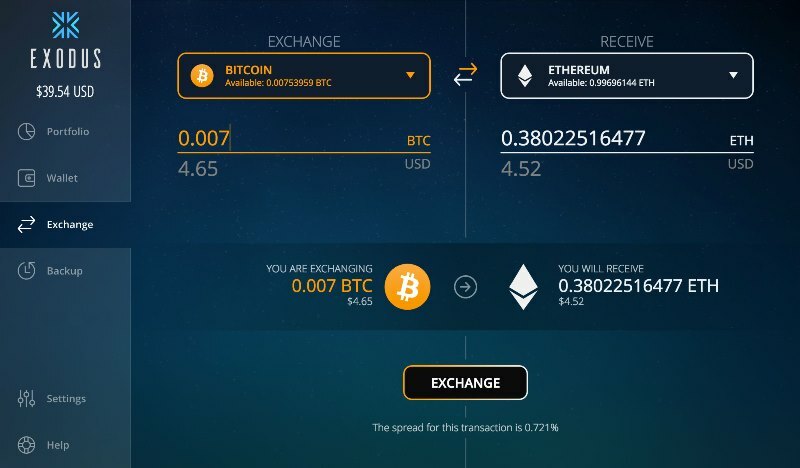 Another great feature, in fact the best feature of Exodus in my opinion is the ability to exchange across different cryptocurrencies with ease right from your wallet. Exodus has a built-in exchange (powered by Shapeshift) that allows you to exchange cryptocurrencies in seconds. 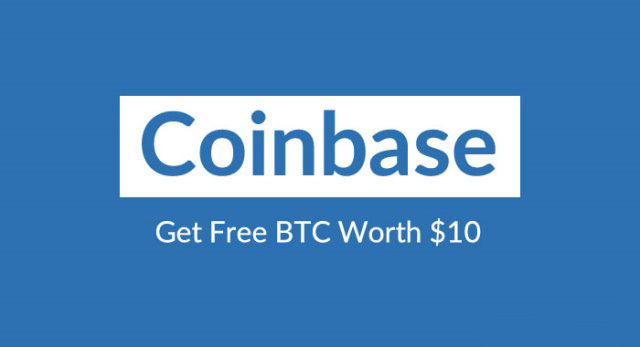 Honestly, I’ve never seen an easier cryptocurrency exchange process elsewhere. You can’t buy coins on Exodus with fiat (legal tender whose value is backed by the government that issued it), this means you can only transfer coins purchased elsewhere (secure exchanges like coinbase or luno) and then transfer them to your Exodus wallet for storing or exchanging for a different coin. Exodus code isn’t open source (which will always arouse some suspicion from the crypto community). Exodus currently has no support for mobile devices. It runs only on desktop operating systems (Windows 64-bit, Mac and Linux) for now. The absence of 2-factor authentication, which has raised security concerns amongst users. Exodus is a great wallet and a complete hit. However, since your funds are stored on your computer, it’s very important that you keep your personal computer safe and practice safe online habits. 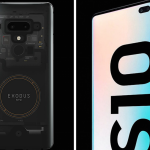 I really hope the downsides outlined above are addressed by the developers Daniel Castognoli and JP Richardson as soon as possible, as this would go a long way in making Exodus Wallet the perfect Cryptocurrency wallet solution. 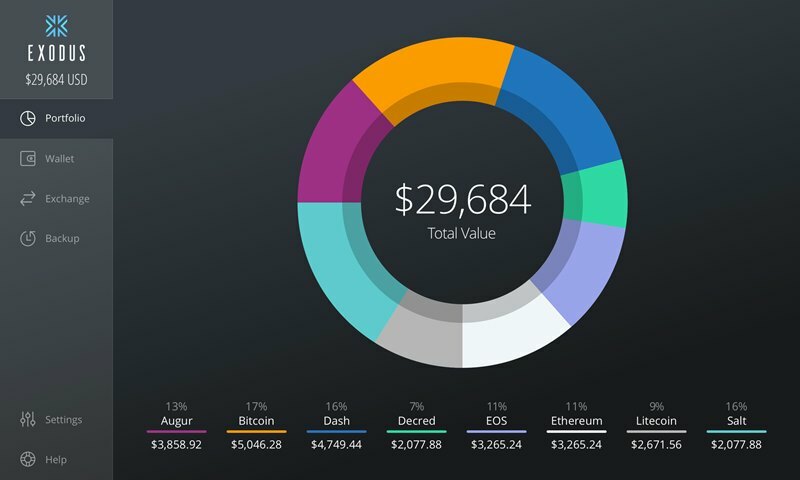 Do let me know what you think about this post as well as your personal thoughts about Exodus Wallet in the comment section below.